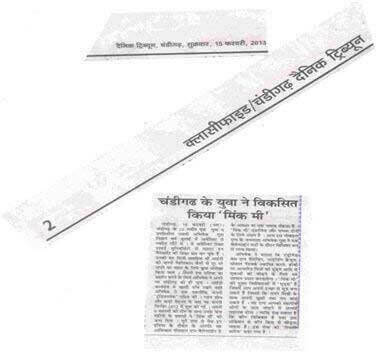 News and Press releases - Indian Mesh Pvt. 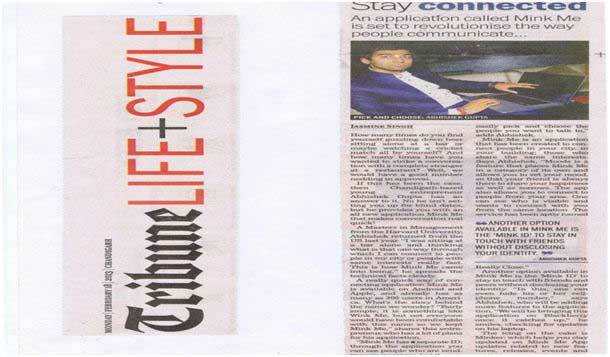 Ltd.
At 26 Abhishek Gupta is in the league of entrepreneurs who have used the enthusiasm, drive and idealism of youth to chalk out a career course not only for themselves but also for other young enthusiasts. 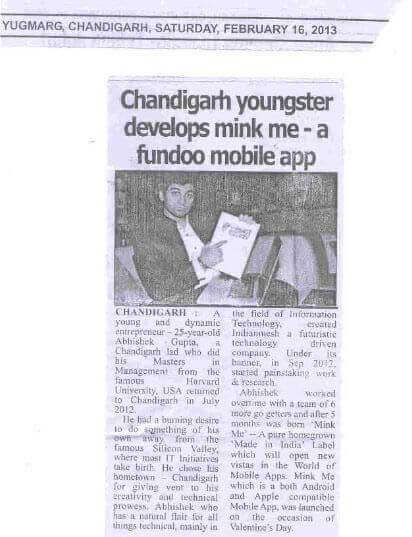 This engineering graduate, who also has a PG degree from Harvard University, left a cushy job in the USA to set up an IT solutions company in Chandigarh with an initial investment of a couple of lakhs. 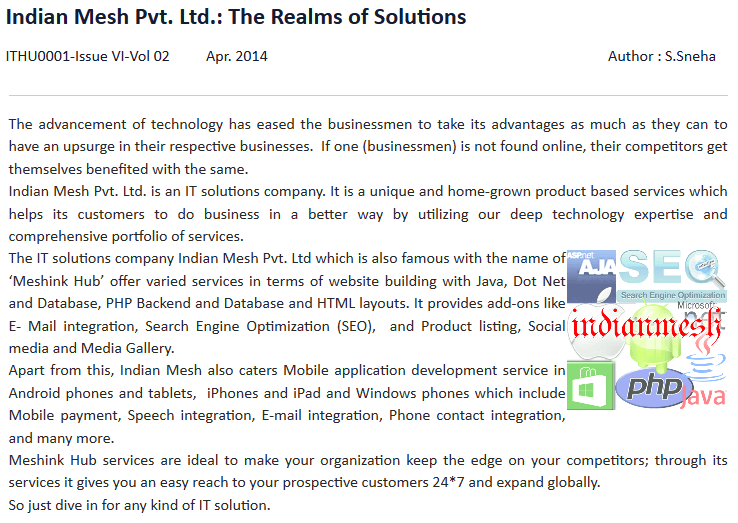 Three years down the line his Indian Mesh venture is not only a trusted brand among his clients but with major focus on previously ignored small, medium, non-profit and home based organisations, Gupta’s venture has also spearheaded a change in the field of business support services. 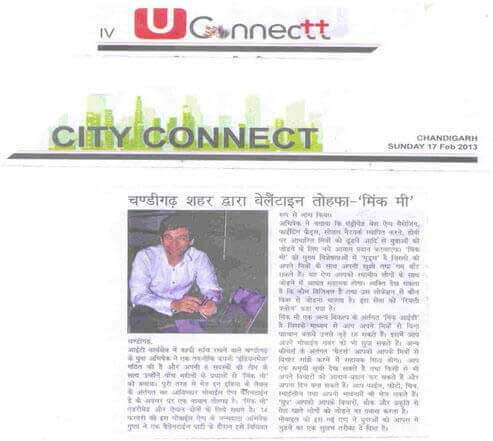 It is the first company in Chandigarh that has developed a full-fledged one of its kind mobile application, produced a monthly tabloid and is running a successful practical training centre all under one roof. In an interview he talks about his journey as an entrepreneur. While working in the US I realised that there was huge scope in the IT/ITES sector in India. This coupled with the fact that I was uncomfortable doing a cushy job and yearned for the challenge and thrill of setting up my own venture made me pack my bags and come back to make a fresh beginning. Chandigarh, rather than the “silicon centres” like Bangalore or Gurgaon, was my first choice as it is my hometown and an upcoming IT destination. Starting in Chandigarh was also a financially prudent decision as the initial capital investment as well the rentals and salary burden was much less here than it would have been in other established centres. 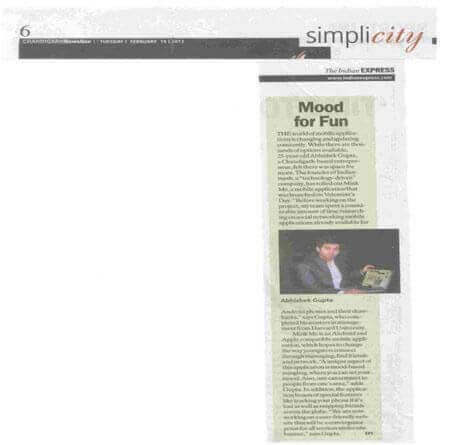 Besides I wanted to excel and stand out in a small centre rather than get lost in a big IT centre like Bangalore or Gurgaon. There is no dearth of challenges if you decide to start a venture in India. Even getting your company registered is a huge challenge here. 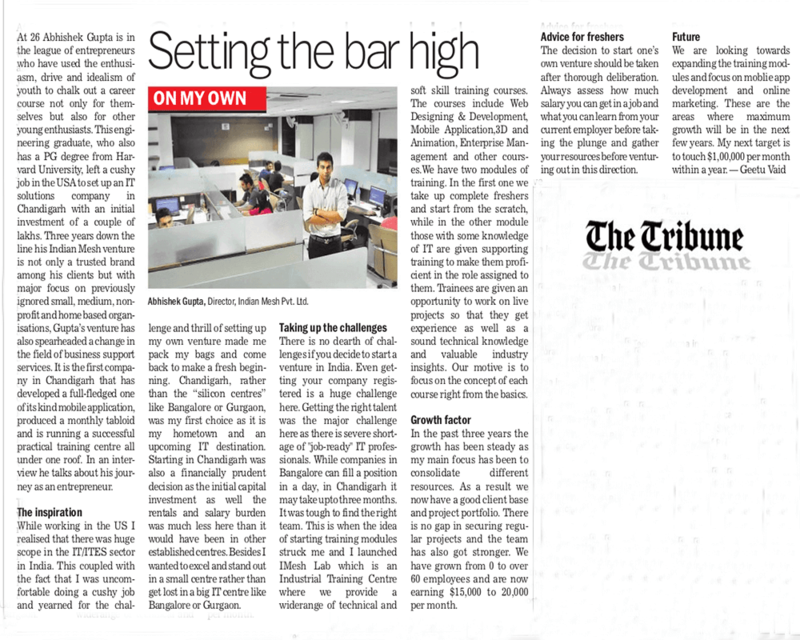 Getting the right talent was the major challenge here as there is severe shortage of "job-ready" IT professionals. 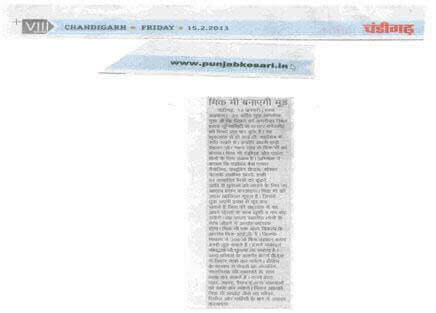 While companies in Bangalore can fill a position in a day, in Chandigarh it may take upto three months. It was tough to find the right team. This is when the idea of starting training modules struck me and I launched IMesh Lab which is an Industrial Training Centre where we provide a widerange of technical and soft skill training courses. The courses include Web Designing & Development, Mobile Application,3D and Animation, Enterprise Management and other courses.We have two modules of training. In the first one we take up complete freshers and start from the scratch, while in the other module those with some knowledge of IT are given supporting training to make them proficient in the role assigned to them. Trainees are given an opportunity to work on live projects so that they get experience as well as a sound technical knowledge and valuable industry insights. Our motive is to focus on the concept of each course right from the basics. 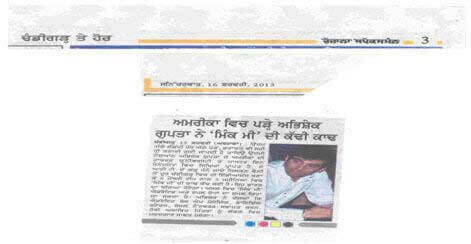 Information technology (IT) and information technology enabled services (ITeS) small and medium enterprises (SMEs) in Punjab and Chandigarh are claiming skilled manpower shortage. The industry is of the view that in majority of the engineering institutions, the course curriculum is, by and large, theoretical with students having limited exposure to practical knowledge. This leads to a failure in meeting the needs of the industry. 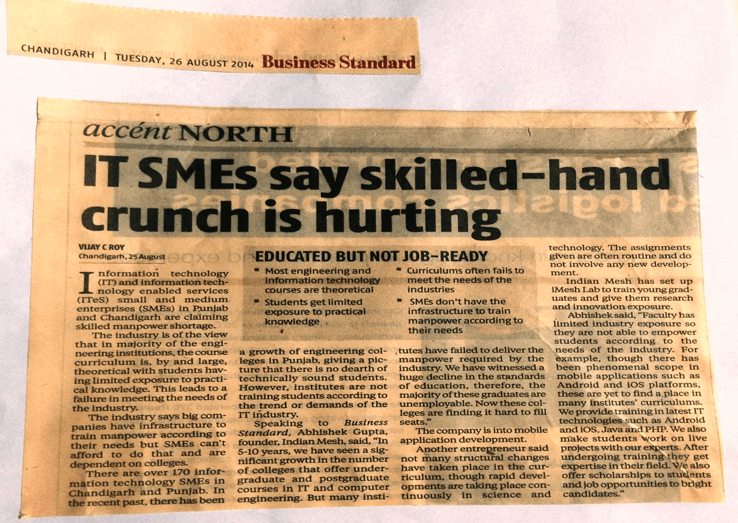 The industry says big companies have infrastructure to train manpower according to their needs but SMEs can't afford to do that and are dependent on colleges. Speaking to Business Standard, Abhishek Gupta, founder, Indian Mesh, said, "In 5-10 years, we have seen a significant growth in the number of colleges that offer undergraduate and postgraduate courses in IT and computer engineering. But many institutes have failed to deliver the manpower required by the industry. We have witnessed a huge decline in the standards of education, therefore, the majority of these graduates are unemployable. Now these colleges are finding it hard to fill seats." 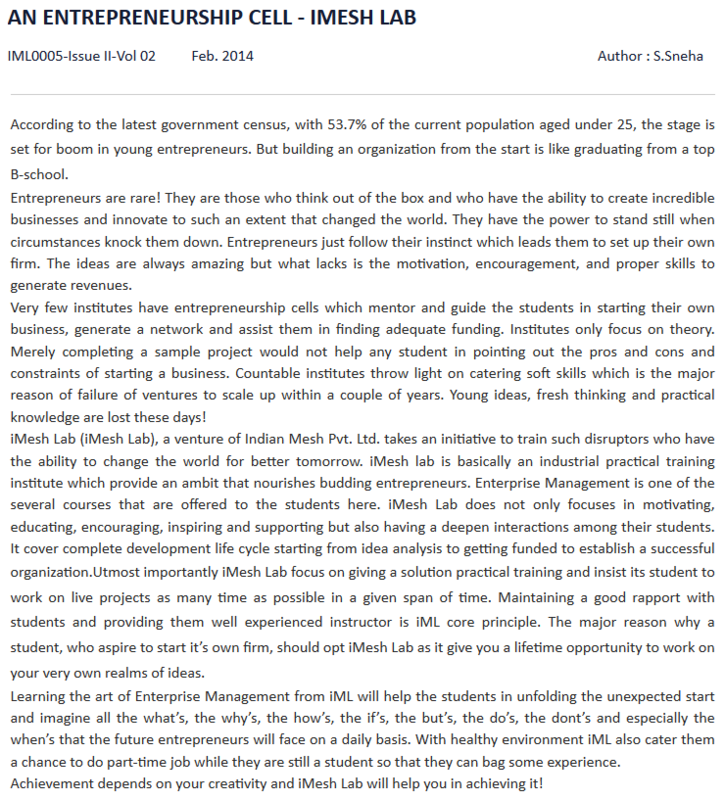 Indian Mesh has set up iMesh Lab to train young graduates and give them research and innovation exposure. Abhishek said, "Faculty has limited industry exposure so they are not able to empower students according to the needs of the industry. For example, though there has been phenomenal scope in mobile applications such as Android and iOS platforms, these are yet to find a place in many institutes' curriculums. We provide training in latest IT technologies such as Android and iOS, Java and PHP. We also make students work on live projects with our experts. After undergoing training they get expertise in their field. We also offer scholarships to students and job opportunities to bright candidates." 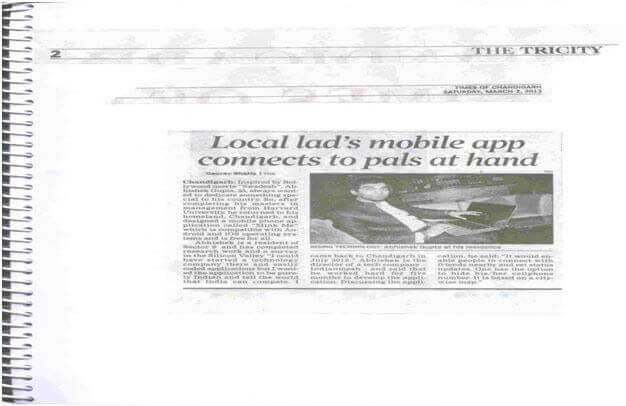 Some of the renowned Hindi and Punjabi dailies brief out about our mobile app, MinkMe. 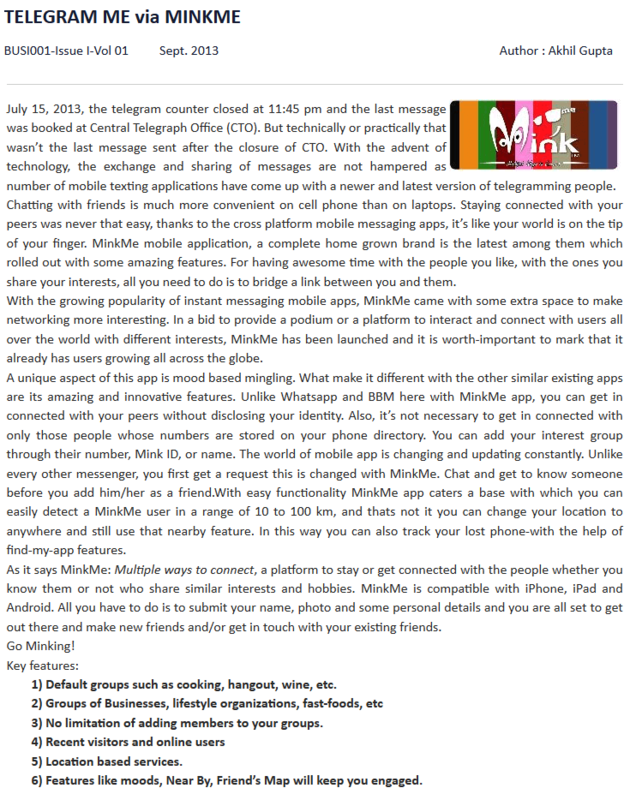 The Indian EXPRESS, defined MinkMe, our quick networking mobile app, as a Mood of Fun.